Every decision we make is guided by our emotions - often even dominated by them. The more we are aware of our emotions, though, the more we can control them and make more logical decisions. This is the challenging skill of emotional intelligence. As software developers, we do not dedicate enough of our focus to being more emotionally intelligent. For personal, team, and organisational benefits we absolutely should, in my opinion. My suggestion for increasing emotional awareness is to conduct emotional intelligence retrospectives. In this post, I will outline one potential format for such a retrospective. But I encourage you to apply your own ideas as well. Before discussing my proposed retrospective format, I’ll quickly talk a bit about emotional intelligence. Feel free to skip the next section if you just want to see the retrospective format. If you have more authority over your emotions you can maintain a positive and constructive state of mind. Importantly, you can also engender those same positive feelings in other people. If you want your team to be positive, creative, and productive, then regulating emotions is a powerful strategy. You are controlled by your emotions more than you think. Whenever you instinctively form an opinion, positive or negative, that is your emotion. When you see 200-line method legacy code, for example, and your heart sinks - that is your emotions provoking cognitive and physiological changes. When your team decides not to follow your suggested design or technology choice, leaving you frustrated, that again is your emotions. How you handle these emotions has a huge impact on your effectiveness in the team and your career achievements. If you want to achieve more, individually or collectively, being able to work your emotions in your favour is one of the biggest advantages you can get; if not the biggest. My favourite leader also happens to be the most likeable one. From the moment I first met the person when they were a senior developer, to a few weeks ago when I last emailed them as VP of technology, I’ve always been admirable - sometimes even jealous - of how everyone likes this person, and how this person never gets hijacked by frustration or anger. This person is naturally emotionally intelligent and amiable. I don’t think it’s a coincidence that this person is emotionally intelligent, has achieved great things in their career, and is liked by almost everyone. Unsurprisingly, this person has even risen above more skilled technicians. If a team can discuss these issues together, I also think it will help to build empathy. Existing retrospectives already take into account how people feel, but they don’t elaborate on the underlying emotions to work out how they impacted people’s behaviour. This retrospective is all about understanding how people’s emotions affected individual behaviours and group dynamics, so that the team is aware of their collective emotional intelligence, and better able to channel it for achieving positive outcomes. A mood meter is a grid of coordinates divided into 4 boxes as shown in the image below. Pleasantness is plotted horizontally and energy is plotted vertically, giving the 4 boxes. My suggestion is to either work back from people’s emotions to the events that triggered them, or work forward from key events and understand people’s emotions at the time. Or you can try a mixture. For example, when working forward from emotions, one team member might say they were disappointed and plot this somewhere in the bottom left grid cell. Each team member could plot their 3 most profound emotional feelings in the period of time leading up to the retrospective. Working back from events, the team could list the most significant events that occurred, such as releasing new features, production outages or heated team debates, and plot their emotions on the meter related to each specific event. This stage is similar to the happiness histogram (http://retrospectivewiki.org/index.php?title=Everyday_Retrospective) used in other retrospectives. However, the intent differs significantly. With the emotional intelligence retrospective, more focus is placed on the type of emotional feeling and the consequences it had, with the aim of optimisation in future occurrences. 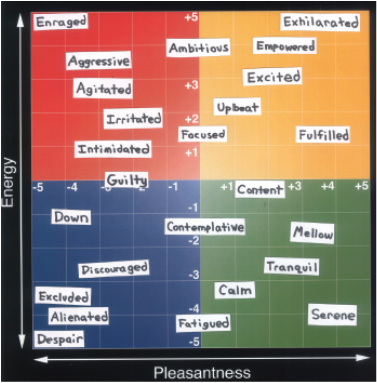 After plotting moods on the mood meter comes arguably the most difficult part of the retrospective. This is where each person has to explain their mood and why they felt that way. Not only is this difficult for the speaker, but it’s also difficult for those listening because they are likely to have influenced the speaker’s mood. It is crucial that everyone is, ironically, emotionally intelligent and able to listen to others without becoming defensive or aggressive. Opening up and sharing emotions, whilst difficult, is incredibly important. It allows the team to become attuned to emotions of their colleagues. It allows people to understand how they made their colleagues angry, sad, or ecstatic. Being attuned to the emotions of others is important because it increases emotional intelligence. Remember, the idea is to regulate your emotions and constructively affect the emotions of those around you so that the team is more harmonious and, subsequently, effective. Having understood how people feel, it’s then important to understand how those feelings affected their actions. This part of the retrospective is about finding out how the team suffered or benefitted as a result of emotions. It’s easy for throwaway comments, with little negative intent, to upset and overwhelm the recipient. Imagine someone reviewed your code and said it smells. It’s easy to take that as a criticism, feel demotivated, and stop enjoying your job. And then stop becoming productive for the team. Conversely, it’s incredibly useful to know when you made someone happy. As a leader, maybe you gave someone additional freedom or responsibility, and they felt highly-motivated by it and produced the best work of their career. If you know how your actions affected someone, you can control that behaviour so that you have less of a negative impact and more of a positive impact. The most important aspect of this part of the retrospective is honesty. People may have behaved regrettably. They may have had murderous thoughts about their team-mates and failed to behave respectably. In the past I’ve been so angry that I let bugs go unnoticed because the person who caused it was treating me rotten. But we’re creatures of emotions. We need to accept that others are controlled by emotion. We should applaud their honesty, empathise with them and work out how we can stop similar problems happening in the future (as discussed next). Admittedly, this is far, far easier said than done. But the immense rewards make it a worthwhile endeavour. After understanding how your team felt, and how their feelings affected the team’s harmony and productivity, you can set some actions to increase the positive effects of emtion and reduce the negatives. If someone was positively impacted by being given additional freedom to work on particular areas of interest, and the team benefitted, then you can create an action to let them do more of it. If someone harboured a grudge for two weeks because they felt like they were being patronised, they can create an action to tell other people when they feel patronised. Or the team can create a group action to be more aware of their patronising behaviour. I’m sure you can think of other suggestions, too. Where do you wish you were on the mood meter at that time? What could you have done to reach that position on the mood meter? Note: don’t forget, a crucial part of learning is reflecting on the outcomes and actions at the next retrospective. Sometimes you can get so angry that your thinking contains no rational input. You might be overcome with rage because someone insulted or disrespected you. This is an example of an emotional hijacking. Identifying when someone in your team has been emotionally-hijacked can be critical to the harmony of your team. 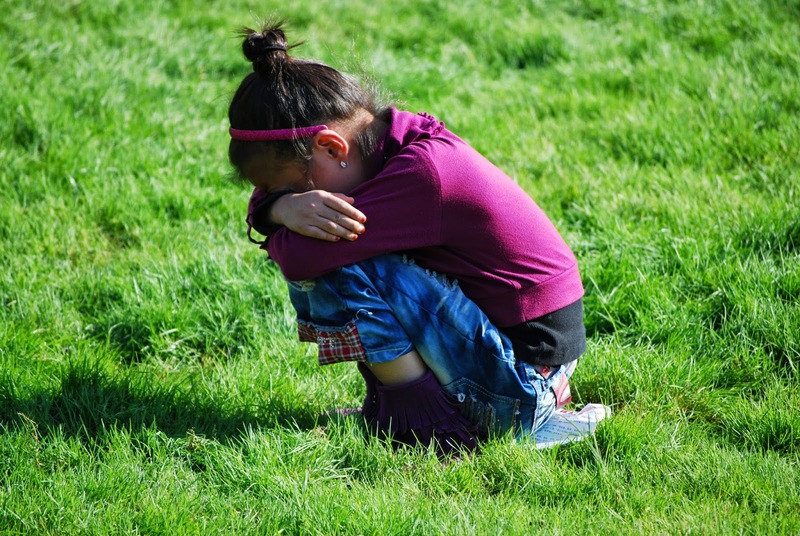 It’s not just anger, people can be overcome by sadness and even happiness. Too much happiness can also lead to poor decisions making. During the early years of my career, I often got excited with the prospect of freedom and responsibility. But it all came crashing down after the ambitious estimates I had given were off by an order of magnitude. You could try starting the retrospective by first asking if anyone experienced an emotional-hijacking. Or you could make a note of each occurrence as they are discovered and pay special attention to them during or at the end of the retrospective. I've been researching ways to improve my own emotional intelligence so that I can enjoy my job more and to become a more effective leader. Using the emotional intelligence retrospective might be an excellent way to achieve both of those goals. What do you think? Do you believe emotional intelligence is important? Do you think development teams should try and improve their emotional intelligence? Do you think this retrospective would satisfy those needs? Would you be prepared to use it? How would you change it? Let me know what you think. I'd be especially keen to hear how it works if you try it out. I'll certainly be encouraging my team to consider this retrospective when I'm next working with teams who practice retrospectives.